Spaceship Earth. It is our destiny as human beings to coexist on this precious planet, the only one of its kind, with all other forms of life. In the 21st century, the ultimate goal of humanity is to realise a sustainable society. The power of being able to relate to and connect will become the driving force behind the opening up of new horizons. Just like the icons of the SDGs, movies and designs promote non-verbal communication as a form of language shared throughout the world.Our free thinking and creativity sometimes override barriers between nations, races, sexes, generations and languages to give birth to feelings of sympathy and connectivity. 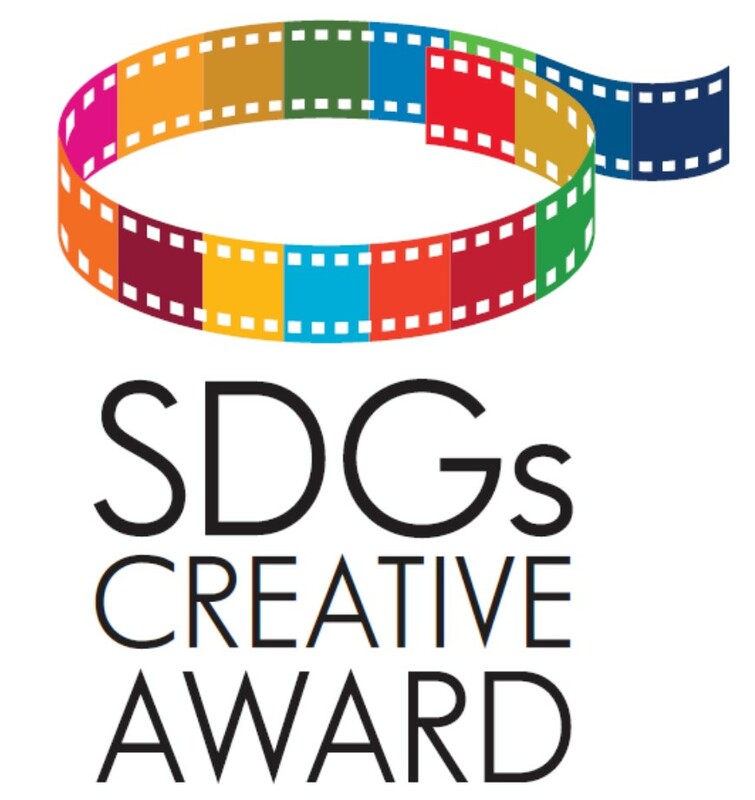 The SDGs Creativity Awards will provide support to people striving to achieve the SDGs by advertising for and presenting awards to movies that deploy a variety of methods to focus on the issues faced by the world, and the cooperative regional actions taken, in an effort to spread the circle of communication and action throughout the world. All winners will be announced on the special website. Daiwa Securities Co., Ltd., All Nippon Airways Co., Ltd. (ANA), Sumitomo Mitsui Trust Bank, Ltd., Saraya Co., Ltd.
Co-sponsors: Daiwa Securities Co., Ltd., All Nippon Airways Co., Ltd. (ANA), Sumitomo Mitsui Trust Bank, Ltd., Saraya Co., Ltd.